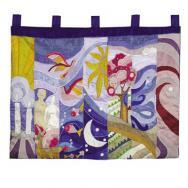 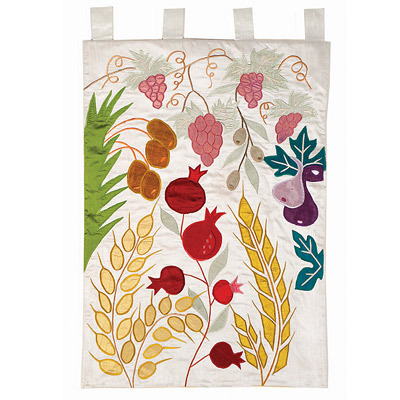 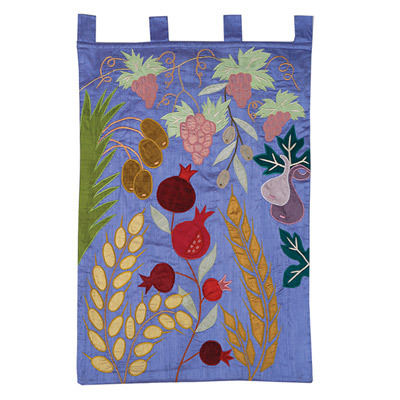 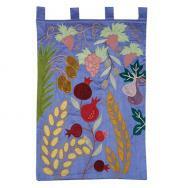 Yair Emanuel’s extra large wall hangings are made out of raw silk fabrics and embroidery, and are vividly colorful. The wall hangings can be used as a unique and central piece when decorating the home and office. 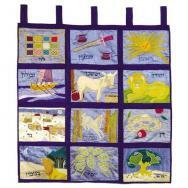 Designs portraying the Creation of the World, the Twelve Tribes and the Seven Species, adorn the wall hangings.